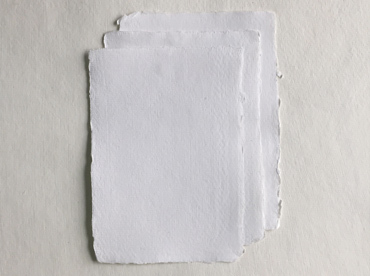 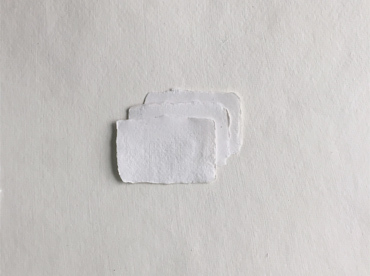 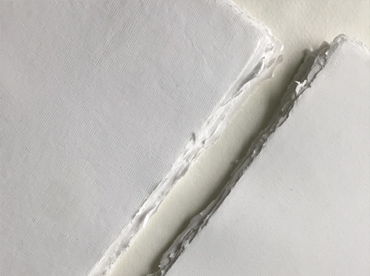 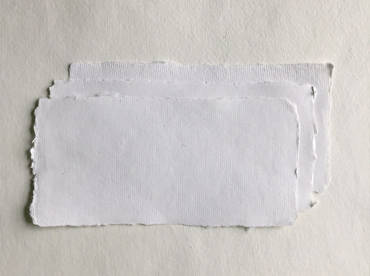 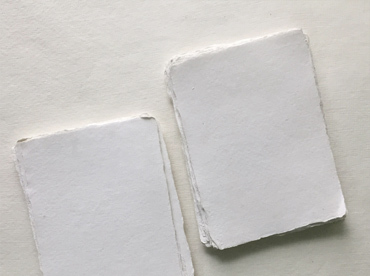 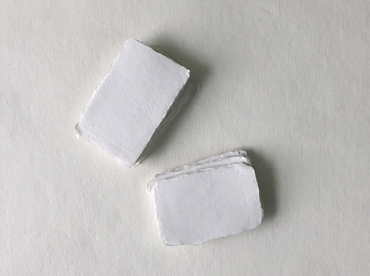 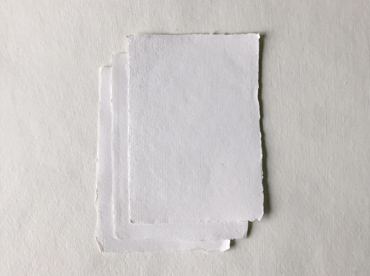 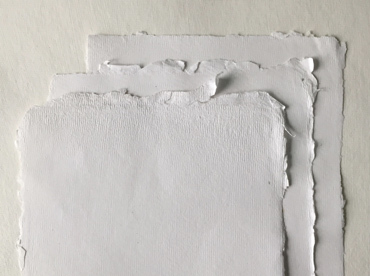 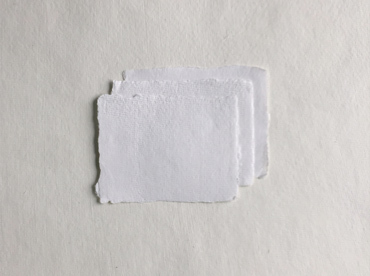 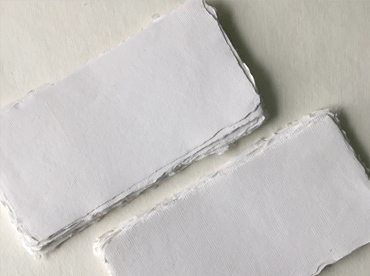 Our handmade deckle edge cotton paper is available in 150gsm and 210gsm grades in a range of 7 complementary sizes, making them ideal for wedding invitation, dining, or correspondence suites. 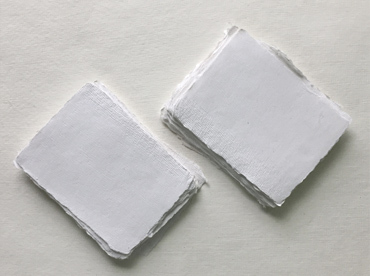 These pieces are calligraphy-friendly and suitable for screen printing or home printing on an inkjet printer. 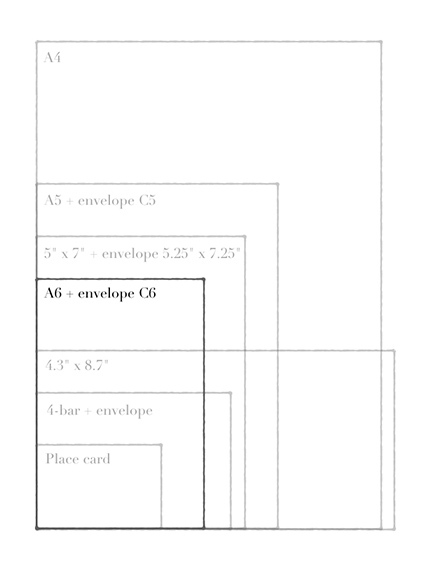 Each size is detailed below. 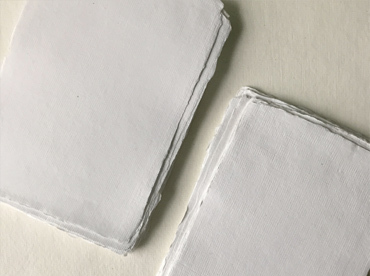 Ideal for place cards or name cards in a dining suite as well as business cards, these pieces are approximately 3.1" x 2.0". 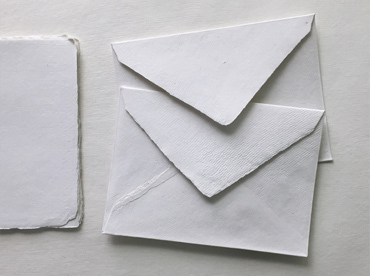 Most commonly used as RSVP and thank you cards in invitation and correspondence suites, these pieces are approximately 4.875" x 3.5". 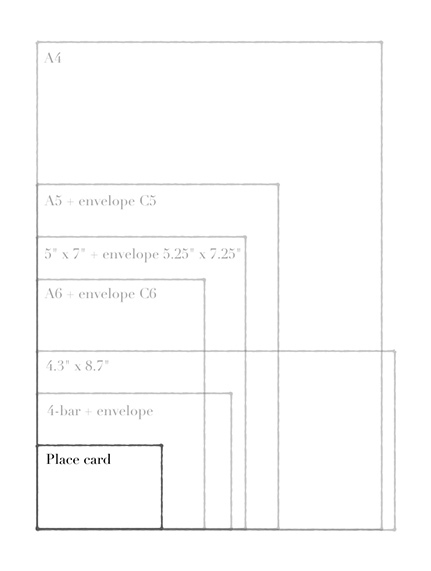 An elegant size for an invitation, these pieces measure approximately 4.1" x 5.8". The accompanying envelopes measure 6.4" x 4.5" and can also fit our A5 paper folded in half. 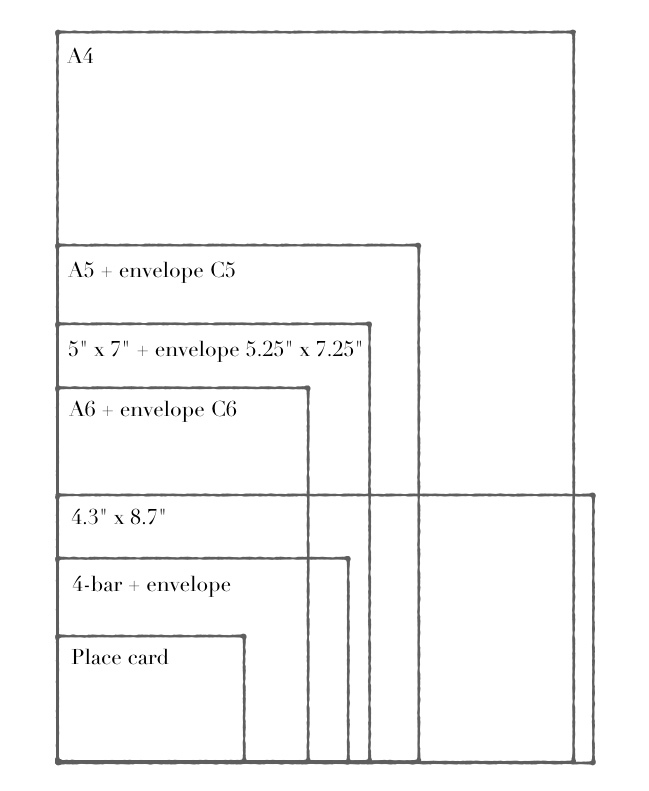 (Please note these are ISO A6 as opposed to US invitation A-6). 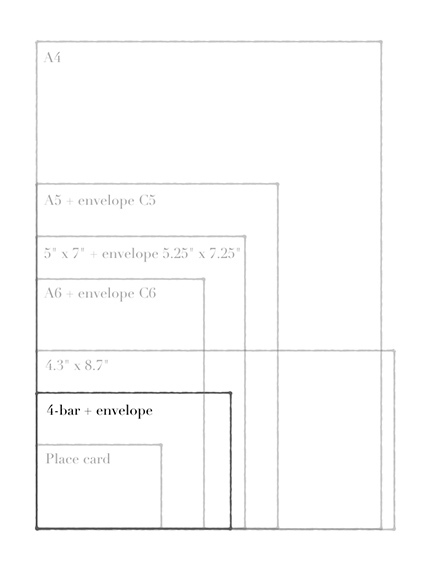 A classic US size for an invitation, these pieces measure approximately 5.0" x 7.0" and the accompanying envelopes measure 7.25" x 5.25". 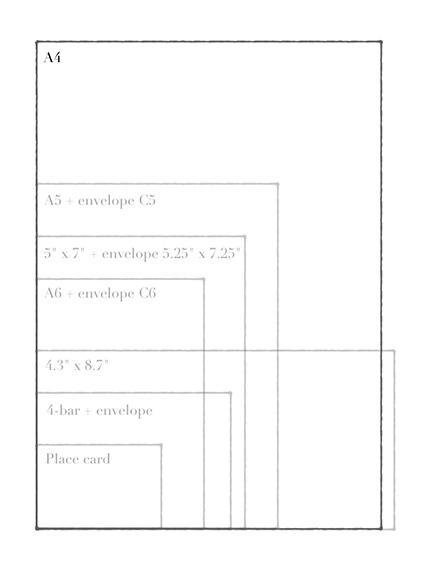 Ideal for a slightly larger invitation, these pieces measure approximately 5.7" x 8.2". 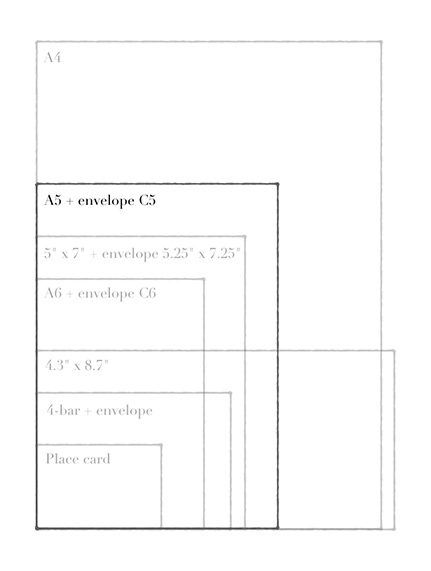 The accompanying envelopes measure 9.0" x 6.4" and also fit our A4 paper size folded in half. 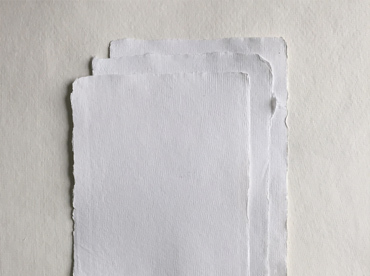 Around a third the size of an A4 sheet, these pieces are versatile horizontally and vertically as menus, compliment slips, or thank you notes. 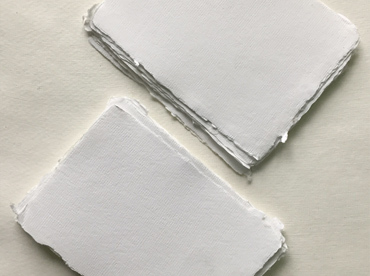 These pieces measure approximately 4.3" x 8.7". 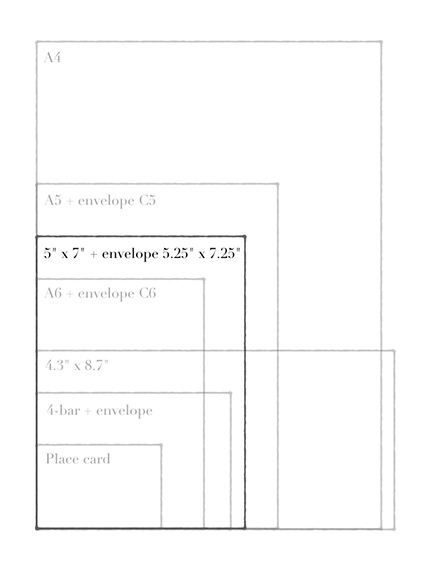 Standard A4 size measuring approximately 8.3" x 11.7", suitable for larger invitations and menus as is or folded into A5. 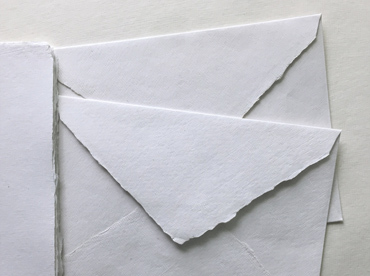 To request a catalogue of our range simply submit our catalogue request form. 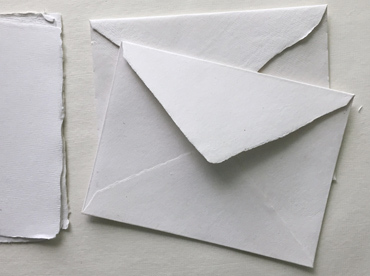 Be sure to also read our frequently asked questions about ordering from us.